Home News & Features To Pay or Not to Pay? Is That the Question? To Pay or Not to Pay? Is That the Question? Genetic tests are an increasingly important tool for diagnosis and disease management. Correctly diagnosing a disease or determining which medication or dose to prescribe is essential to managing health and disease. Diagnostic data drive more than 70% of healthcare decision making but reimbursement from both public and private payers has emerged as the new crucible with increasing uncertainties for the entire sector. In recent years, developing the test has become the least difficult aspect, when compared with getting tests covered and reimbursed in the current healthcare environment. For these reasons, institutions, hospitals, and companies are committing dedicated personnel to just getting testing reimbursed. If you are one of those reimbursement personnel, read no further—this will be too elementary for you. However, if you are curious about the realm of reimbursement from the clinical care point of view, this may reveal a bit of the complexities. Current practice, and seemingly simple steps, toward reimbursement is first to confirm that the insured and/or assignee has coverage for the test. Then the provider's office or the testing laboratory must complete the health insurance company's precertification or authorization processes. This includes completing various forms and multistep data capture, verification, and medical necessity review processes to receive a decision of coverage and/or denial. Then other bureaucratic steps to petition for access or reconsideration can be unique to each and every payer (even different processes can occur within a single payer based on the patient's policy). Sometimes these forms and application procedures are so complicated, and can present such time-bound challenges, that only experienced personnel can successfully navigate the gauntlet. This scenario presents significant impediments to diagnostic innovation, timeliness of clinical management, and overall efficiencies of healthcare delivery. The promise and rate of adoption for precision medicine is running headlong into an arcane, nonresponsive, and systemically dysfunctional coverage/reimbursement environment. Genetic Testing and Molecular Biomarkers, published by Mary Ann Liebert, Inc., is the leading peer-reviewed journal covering all aspects of human genetic testing including molecular biomarkers. 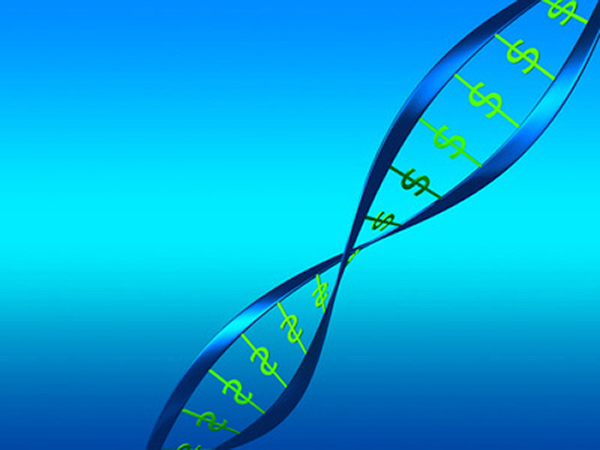 The above article was first published in the February 2016 issue of Genetic Testing and Molecular Biomarkers with the title “To Pay or Not to Pay? Is That the Question?”. The views expressed here are those of the authors and are not necessarily those of Genetic Testing and Molecular Biomarkers, Mary Ann Liebert, Inc., publishers, or their affiliates. No endorsement of any entity or technology is implied.